SEAT Leon Cupra R sold out! The entire UK allocation of 24 of SEAT’s fastest ever road car – the Leon Cupra R – have been snapped up just a matter of weeks after going on sale. 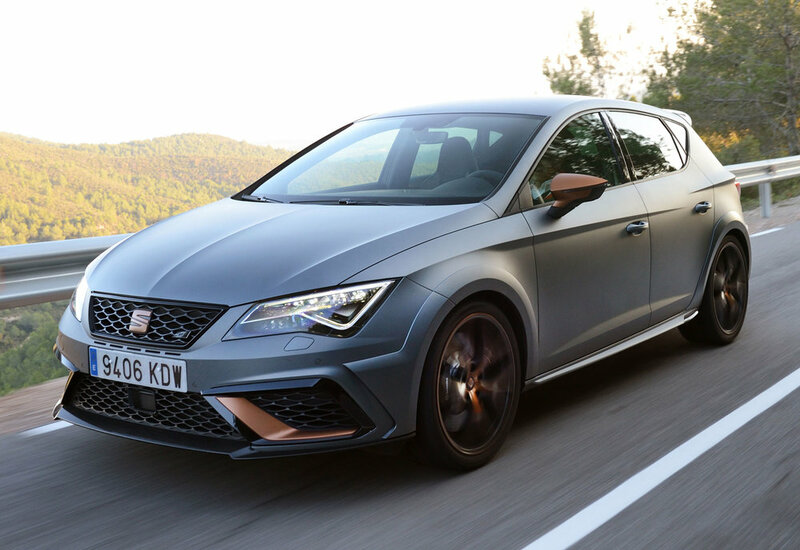 Forming part of a total production run of 799 examples, combining a raft of technical upgrades with enhanced styling and a premium finish, the 24 UK-specification Leon Cupra R cars, all 310PS six-speed manual gearbox versions, cost £34,995 on-the-road when order books were opened on November 13, 2017. Like their siblings, they feature modified camber angles on the front axle, four piston Brembro brake callipers and a retuned sports exhaust system, plus, a rear spoiler providing 20kg more downforce. In grey or black, the Leon Cupra flagship is distinguished by carbon fibre details for the rear spoiler, lower lip spoiler, side skirts and rear diffuser. The extended wheel arches and the front also get a more aggressive design around the air intakes, while copper colouring is featured on the door mirrors, Cupra tailgate lettering, and copper and black 19-inch Cupra R alloy wheels. The cabin also sees the copper hue carried through to the dashboard, centre console, door panel stitching and Cupra steering wheel logo. There’s also Alcantara trim on the gearstick, steering wheel and front bucket seats with copper stitching.